Is there anyway to stop the capture markers from disappearing? Altis is a big map and it's hard to know what belongs to who and what areas need to be taken. I did some testing modifying to the solid border at 30% opacity and it was much better to understand where my faction squads was present and the options I had to participate in the battle. 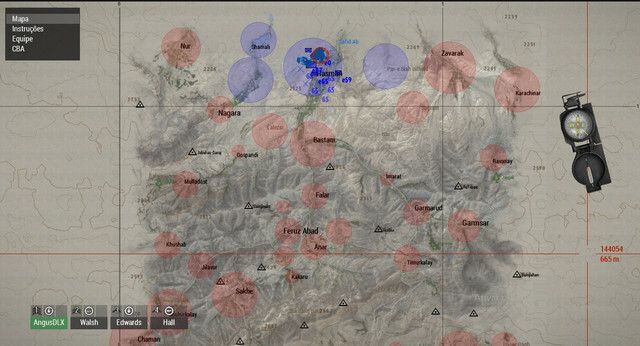 The idea of these markers is to place them on each objective with the default red color and change to blue color ONLY if 1 BLUFOR profile is present in the area. This way, there is no type of "cheat" in knowing where enemies are or if they have invaded the area to attack. It's a way I found of not having to go in areas where OPCOM is acting. Plus, i still need the tablet to check some information. It was only a quick test mission that I did using triggers, markers, custom objectives and to be honest, I really liked the result, it improved the "communication" between ALiVE and Player. AngusDLX, this is exactly what I've been looking for! Any chance you would be willing to share this test mission? I'm currently making a small mission for friends on PKL and we're often confused as to who has what.